The entire Vin Diesel crew is back, and enjoying the loot from the Rio job they pulled off in Fast and Furious 5. This Fast and Furious trailer starts off with Dom (Vin Diesel) in his new extradition-free digs, enjoying life. 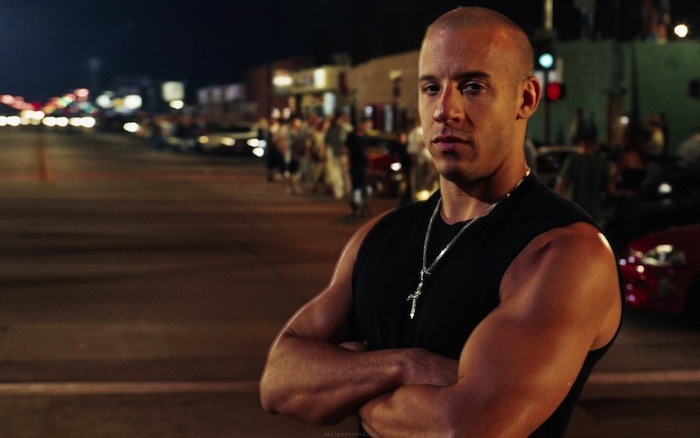 Enter Luke Hobbs (Dwayne “The Rock” Johnson) who has a proposition for Vin Diesel and his team to break up a gang of European car thieves. There is also a twist in the fact that Letty has amnesia and doesn’t remember Vin Diesel or anyone else. It doesn’t take any convincing from Luke to get Dom involved. As hinted at in the Fast and Furious trailer, money can’t buy happiness if you don’t have your family to share it with. Dom reassembles the team, but before they agree to work with Luke Dobbs, Brian O’Conner (Paul Walker) negotiates immunity for them all and the chance to get Letty back. Mayhem ensues with fast car chases and plenty of action, some of which is revealed in the Fast and Furious Trailer. Especially watch out for when Vin Diesel drives through the front of a commercial airliner while it is still moving on the runway. In this Fast and Furious trailer, the main target and ringleader of the European car thieves is Owen Shaw (Luke Evans, a mastermind criminal who has never been caught. The team has met their match, which the Fast and Furious trailer is quick to point out. There is also a twist in the fact that Letty has amnesia and doesn’t remember Vin Diesel or anyone else. Owen Shaw uses this to his advantage and is a villain who makes this Fast and Furious trailer worth checking out.